The Virginia Gentlemen take part in widespread and valuable community involvement, often performing benefit concerts for philanthropic organizations. Below are several groups and events with which we've built relationships by working together for many years on Grounds. 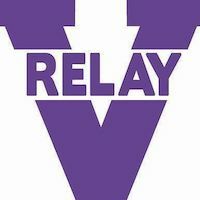 The Virginia Gentlemen perform annually Relay's main event on Grounds to benefit cancer research. For many years running, the VGs perform at UVA's annual Pancakes for Parkinson's event to benefit Parkinson's research. 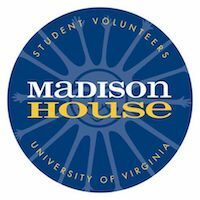 Periodically, VGs are involved with the Madison House effort "Harmonies for Healing." VGs particularly enjoy hospital caroling in the Christmas season to brighten patients' days. Similarly, VGs love hospital caroling at the Children's Hospital to bring some joy to the kids. For the first time this year, VGs will perform at a benefit concert performance which helps fund hospice care. Annually, the VGs perform at Take Back the Night's event increasing awareness of sexual and relationship violence. VGs perform at a variety of events for Breast Cancer Awareness, including special UVA Athletic Events, and sorority fundraisers benefiting breast cancer awareness and research. Last year, the VGs organized and performed a large concert to benefit sickle cell research. Annually, the VGs perform at Women Against Violence's main event in Old Cabell to benefit victims of domestic violence.